The day before Thanksgiving, I finished setting the table in our farm’s community room for the next day’s feast. On the way back to the house, I stopped in the barn to check on the 30-pound turkey in the barn fridge, the only cold place large enough to hold it. Truthfully, we didn’t need a 30-pound turkey, but somehow my order ended up in the “extra large” category. I wasn’t even sure it would fit in our oven, not to mention having to get up an hour earlier to give those extra five pounds time to roast. I opened the barn fridge door, expecting the top shelf to be full of turkey. The shelf was empty. The second and third shelves (too small for the turkey anyway) were empty. I even looked in all the fridge drawers and door shelves where a 30-lb turkey obviously could not hide. I looked all over the barn, thinking John had left the turkey out accidentally. I even looked back in the fridge again to be sure I wasn’t overlooking something. Still no turkey. What to do but go ask John if he’d brought the turkey in the house. No. So where’s the turkey? Then I remembered it was Wednesday, the day the food pantry people come for the veggies we donate to community families every week. Every Tuesday, I send an email to the friend who picks up our veggies to tell her what we have. I looked back at that week’s email and saw that I had mentioned the turkey on the top shelf because I needed to let her know the veggies were on the second shelf this week. Re-reading the note, I realized that she must have sent someone else for the pick-up. Even though the turkey part of the message was vague, I knew she would never have interpreted it to mean “take the turkey.” On the other hand, someone less familiar with our arrangement certainly could think a turkey donation accompanied the vegetables. Since the pantry was closed for the day, I tried to contact my friend but couldn’t reach her. Now the need for logistics took hold. It wasn’t that we minded the turkey having gone to the pantry, but we still needed a turkey—and it was 4 PM the day before Thanksgiving. Would we really be able to find an organic turkey at this late hour? I was glad, in fact, not to cook that big turkey. 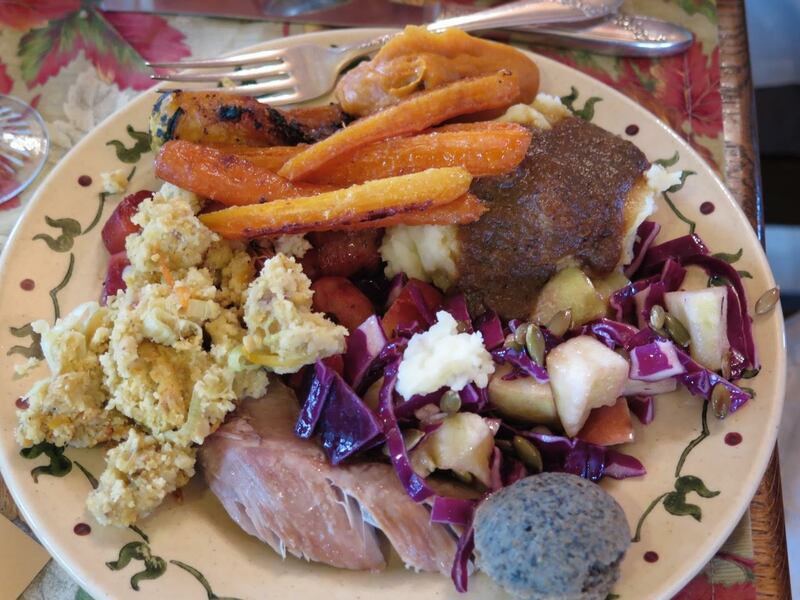 We had plenty at our Thanksgiving meal, with most of it—potatoes, leeks, squash, onions, carrots, beets, herbs—grown on our own farm. Seated by the wood stove as the snow fell gently outside, we thought about all the Thanksgiving dinners including something from Stonebridge, from vegetables on the table to the wine we’ve grown and vinted—to the turkey in the barn fridge. We laughed at the gift of a good story with which to remember this very Thanksgiving, a reminder of gratitude for all we have and can share. For this and so much more, we are thankful. 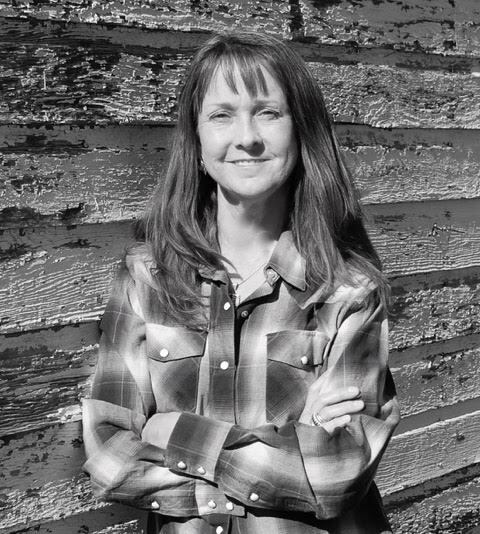 Kayann Short is an SCN Star Blogger and the author of A Bushel’s Worth: An Ecobiography (Torrey House Press), an award-winning memoir of reunion with her family’s farming past and call to action for farmland preservation today. 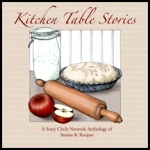 See kayannshort.com for more on her writing workshops and retreats at Stonebridge Farm and follow her at pearlmoonplenty.wordpress.com. A week after the flood, I woke early. My first thought: Are they gone? We’d heard rumors the day before that the barricade behind which our farm was corralled would be moved further west on Highway 66. 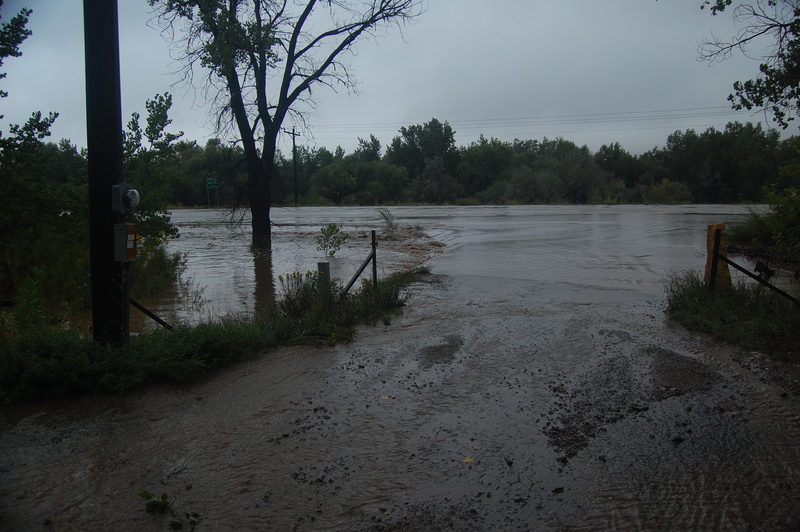 The barrier had been hastily assembled to protect our nearby town of Lyons, Colorado, until its evacuated residents could return. 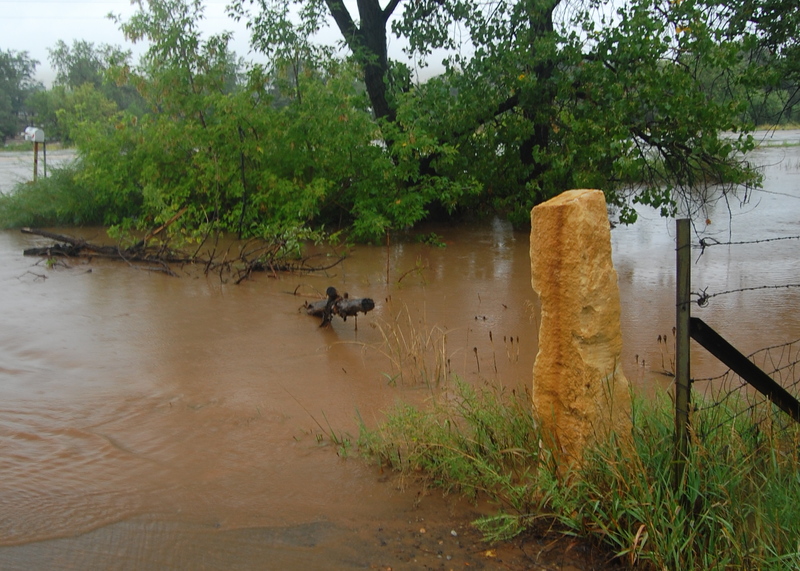 Because our farm borders the highway over which the floodwaters rushed, we were caught within the restricted zone, even though we’d had no flood damage and no reason to leave. I dressed quickly and walked down our driveway toward 66. No traffic on the normally busy highway suggested the barricade remained. We’d been to the checkpoint many times to negotiate with guards as we tried to conduct normal farm business. Officials weren’t happy we’d remained, despite crops and animals that kept us in place. Now I turned onto the highway and looked to the rising sun. The road was empty as far as I could see. No gates, no guards, no guns. During the night, they’d disappeared. Nothing remained but grey concrete vanishing into the horizon. “Whoohoo! They’re gone!” I yelled, pumping my fist into the air that 66 would be open to our farm again. Then I glanced around. The road was clear of trucks and equipment. I was glad no one had seen me celebrating in the midst of our town’s devastation. But the highway wasn’t completely bare. In the middle of the road sat a brown paper sack. I’d seen workers handed a similar lunch each morning. Figuring no one would return once the day’s work of rock and rubble began, I took the bag back to the kitchen without looking inside and forgot about it until John came in at noon. “What’s this?” he asked. Curious what some agency had packed for a laborer’s lunch, we found a tuna kit; small bags of treats; pita bread, a pear; and a Twix bar. As organic farmers, John and I don’t each much packaged food, especially of the plastic cubicle variety. Still, someone’s hands had prepared this meal and some worker would go without. It didn’t seem right to waste food in these post-flood days when thrift seemed a virtue and feeding people was on our minds. Food seemed a gift, whether from the soil or a brown paper bag. John ate the peanuts; I ate the pita, craisins, and Twix bar. The chickens loved the pretzels. Later, we told friends we’d composted the pear because it wasn’t organic. “Like the Twix bar was!” they teased. We’ve still got the tuna kit. It’s our take-away that life can change instantly, leaving you choices you’d never considered. Kayann Short is a writer, farmer, teacher, and activist at Stonebridge Farm in the foothills of the Colorado Rockies. 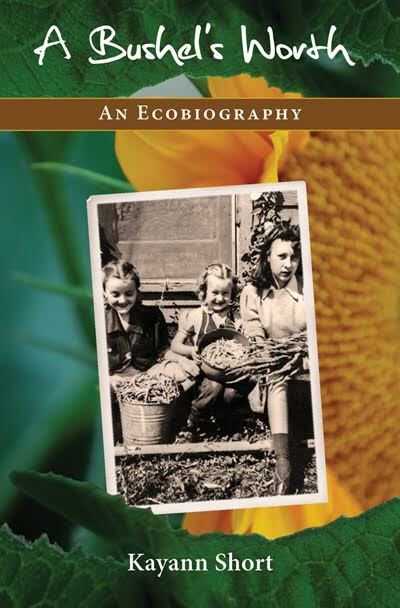 She is the author of A Bushel’s Worth: An Ecobiography (Torrey House Press), a memoir of reunion with her grandmothers’ farming past and a call to action for local farmland preservation today.